Alicia Frankovich (Tauranga, 1980) lives and works in Berlin and Canberra. She has a BVA in sculpture from AUT, Auckland (2002) and an MFA from Monash University (2016). She is currently a recipient of the Australian Government Research Training Program Scholarship at The Australian National University. Frankovich works across sculpture, performance, video, photography, and the medium of the exhibition. Her work engages living human and non-human entities, that play out relations that queer nature and create new worlds. 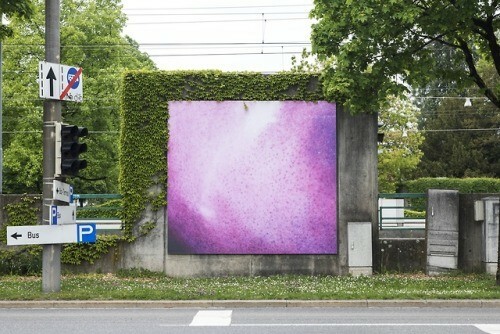 Frankovich has participated in numerous solo exhibitions including Exoplanets at Monash University Museum of Art, Melbourne, After Blue Marble, KUB Billboards, Kunsthaus Bregenz, Austria, 2017; Atlas of the Living World, Stedelijk Museum, Amsterdam; OUTSIDE BEFORE BEYOND, Kunstverein für die Rheinlande und Westfalen, Düsseldorf 2016; She has exhibited in group shows including 2018; Kunstpreis der Böttcherstraße in Bremen, 2016; TarraWarra Biennale: Endless Circulation, TarraWarra Museum of Art, 2015; Complex Bodies, Gebert Stiftung für Kultur, Rapperswill, Switzerland, 2014; Le Mouvement: Performing the City, Biel/Bienne, Switzerland, Framed Movements, Australian Centre for Contemporary Art, Melbourne, 2013; The Real Thing? Palais de Tokyo, Paris.